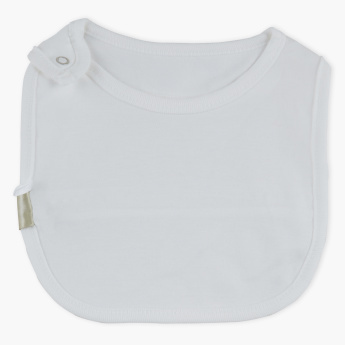 Giggles Embroidered Bib with Snap Closure | Cream | Protect baby clothes from getting stains. 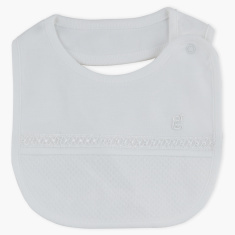 Protect your little one’s clothes from getting dirty with the help of this bib. Sporting a snap closure, this bib offers easy wearing and looks quite impeccable with the embroidery pattern. Feature 2 : Snaps closure for easy wearing. Feature 1 : Protect baby clothes from getting stains.